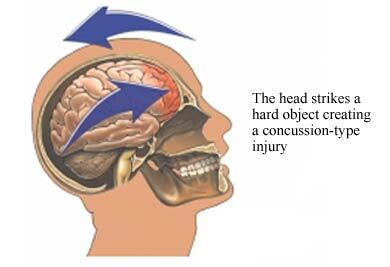 Concussion and mild traumatic brain injury. EBSCO DynaMed Plus website. Available at: https://www.dynamed.com/topics/dmp~AN~T116529/Concussion-and-mild-traumatic-brain-injury . Updated October 9, 2017. Accessed February 7, 2018. 10/5/2010 DynaMed Plus Systematic Literature Surveillance https://www.dynamed.com/topics/dmp~AN~T116529/Concussion-and-mild-traumatic-brain-injury : Parikh SN, Wilson L. Hazardous use of car seats outside the car in the United States, 2003-2007. Pediatrics. 2010;126(2):352-357. 12/10/2010 DynaMed Plus Systematic Literature Surveillance https://www.dynamed.com/topics/dmp~AN~T116529/Concussion-and-mild-traumatic-brain-injury : Bakhos LL, Lockhart GR, Myers R, Linakis JG. Emergency department visits for concussion in young child athletes. Pediatrics. 2010;126(3):e550-556. 2/21/2017 DynaMed Plus Systematic Surveillance https://www.dynamed.com/topics/dmp~AN~T116529/Concussion-and-mild-traumatic-brain-injury : Grool AM, Aglipay M, et al. Association between early participation in physical activity following acute concussion and persistent postconcussive symptoms in children and adolescents. JAMA. 2016 Dec 20;316(23)2504-2514.